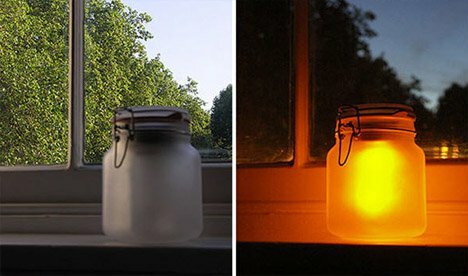 Catching a bit of the sun’s light and keeping it in a jar sounds like fantasy, but in fact Sun Jars let you do just that. 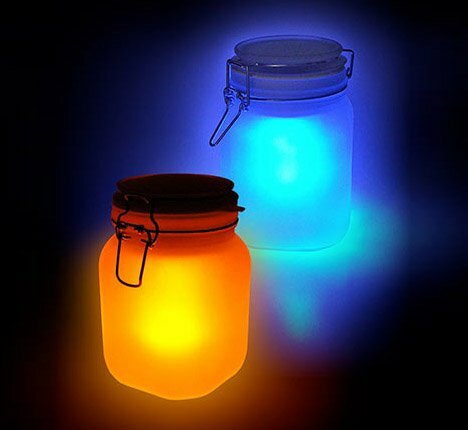 Meant to mimic the gentle glow of a sunset or a bottled of fireflies, sun jars are a sweet little way to brighten up your world. While it is bright outside, sun jars capture and collect the rays of the sun, storing that energy until the sun ducks below the horizon for the night. 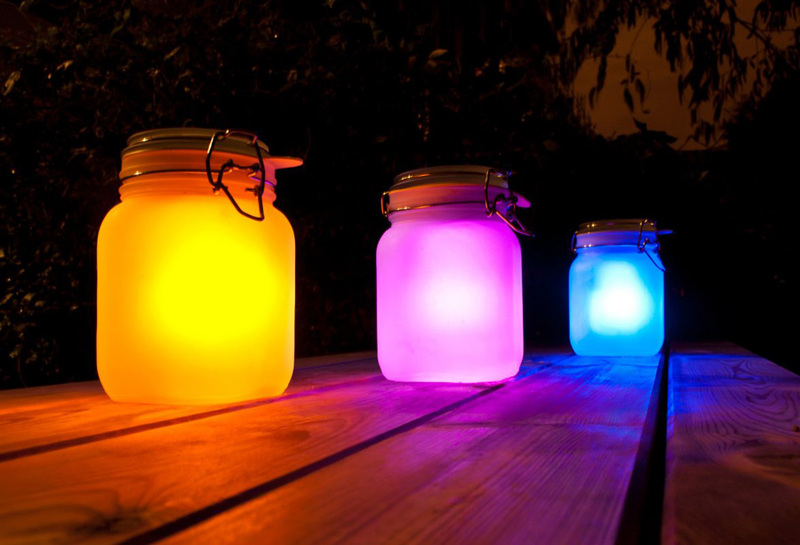 For instant gratification, sun jars can be purchased in pink, blue and yellow varieties. But for the brave DIYer, the same effect can be achieved at home on the cheap. The project can be as simple or as involved as you want it to be, depending on your skills and the available materials. One of the simplest methods involves tearing apart a solar-powered yard light and re-seating the light inside a frosted kitchen storage jar (or you can purchase frosting spray for regular jars – just remember to apply it to the inside!). A cheap solar pathlight is generally the easiest to take apart, the core of which you then want to attach to the bottom of the lid so it remains relatively out of sight in the finished product – tape should be fine but hot glue might be longer-lasting. You can make your own color filter by cutting it from the label of a handy (soft or) sports drink or using actual colored light filters, depending on how seriously attached you are to specific hues. With most lights heat should not be too much of an issue, but you may want to check first and see how much the ones you are using heats up when in use. 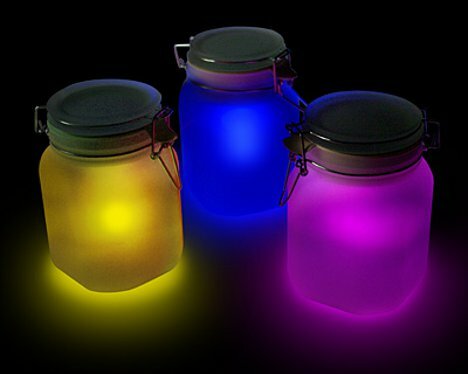 However your sun jar comes into existence, grouping several of these little jars together on a patio or porch makes for the perfect decorative lighting. 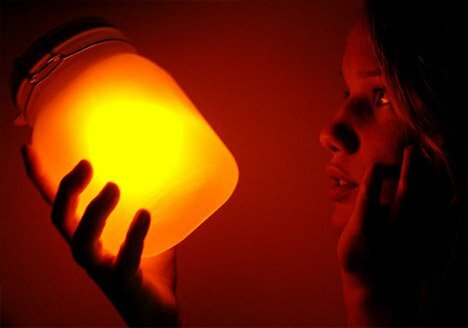 The glow is very soft, almost like the glow of fireflies confined in a jar just long enough to let you admire them.